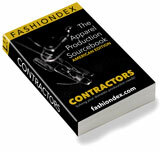 STAR CONCEPT APPAREL LTD. solving Tee Shirts & Sweat Shirts production and contracting needs. French terry, polar fleece, stretch nylon and more. Markets: Menswear, Womenswear & Childrenswear. Compare STAR CONCEPT APPAREL LTD. with all 19 listings in Tee Shirts & Sweat Shirts.